Scarlet ibises flying out from their mangrove roosting trees. 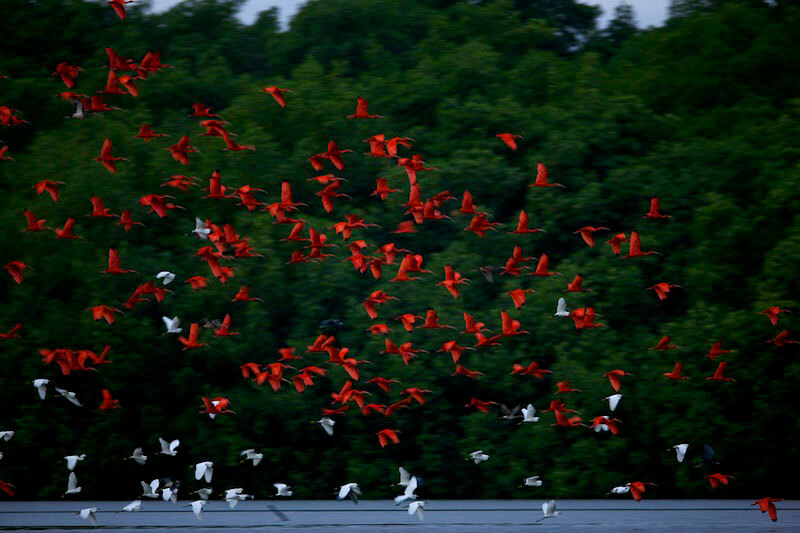 Scarlet ibises flying out from their mangrove roosting trees before sunrise in the Caroni Swamp. Some snowy egrets are also present.